Below are sample marine survey reports on some of the different types of marine surveys that we provide. If you do not see the survey reports below, scroll down to the bottom of the page for direct links to our sample survey reports. 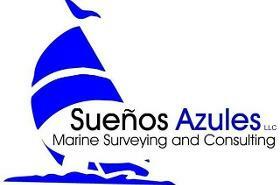 A sample report of a pre-purchase marine survey on a sailing vessel can be found here. A sample report of a pre-purchase marine survey on a power vessel can be found here. A sample report of a damage inspection survey on a sailing vessel can be found here. A sample report of an ultrasonic hull plate survey on a commercial vessel can be found here. A sample report of an infrared thermal inspection on a electric motor can be found here. Depending on your connection speed, it may take a few minutes for the files to download to your computer before you are able to view them. You will need PDF in order to view the sample surveys. If you don't have PDF you can download it here.